I met Versidia from Bronzebeard in a Throne of Thunder LFR run recently. I liked her transmog so grabbed a picture. She looks like she could be a high priestess of the Farraki! 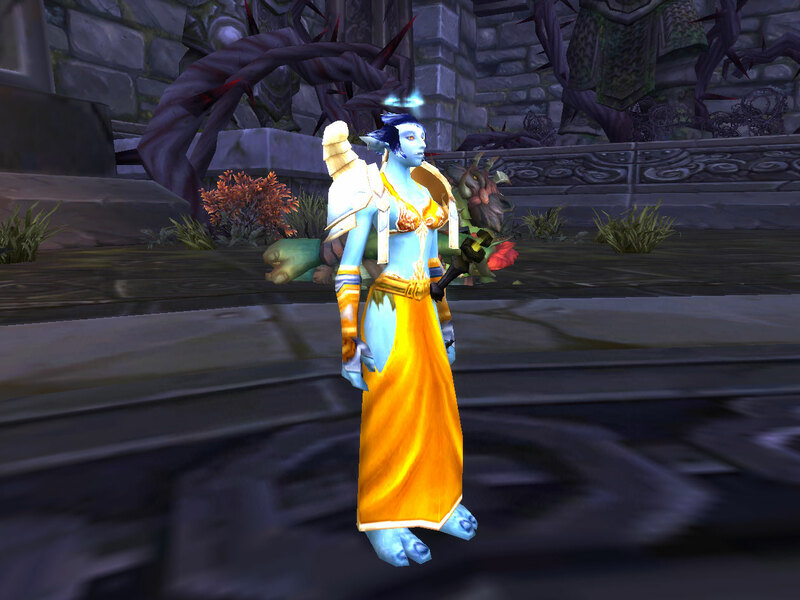 I complimented her transmog, and she replied that it took her five months to get the robe. I am! I just changed colors from the yellow Robes of the Battleguard to the blue Robes of the Guardian Saint. I think the yellow is going to be for my pvp gear, and I’m reworking my shadow set.